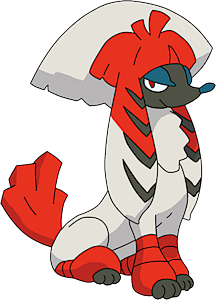 Furfrou Kabuki in game: 2,975 Who? Important notice! Pokemon Furfrou Kabuki is a fictional character of humans. Furfrou (Japanese: ????? Trimmien) is a Normal-type Pokémon introduced in Generation VI. Furfrou can have its hair trimmed into nine different styles to change its appearance. The styles include the Star, Diamond, Heart, Pharaoh, Kabuki, La Reine, Matron, Dandy, and Debutante Trim. If trimmed, Furfrou will revert into its natural appearance after five days or if deposited to the PC. 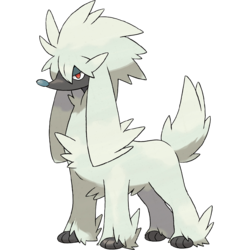 Furfrou is a dog-like Pokémon with thick, white fur that covers its black body apart from its paws and face. It has round eyes with blue eyelids and red irises, a pointed snout with a round nose at the end, and long rectangular ears. When its mouth is open, two pointed teeth can be seen on its upper jaw. This Pokémon's furry coat cushions it against physical attacks. Furfrou is known to be loyal to its Trainer. It used to guard the king in the ancient times of Kalos. Like some real-world poodles, some domesticated Furfrou are commonly seen with their fur trimmed into various styles. Multiple Furfrou appeared in Grooming Furfrou!, including one that belongs to Jessica. A Matron Trim Furfrou appeared in Awakening the Sleeping Giant!, under the ownership of Princess Allie. A Dandy Trim Furfrou appeared in Dreaming a Performer's Dream! under the ownership of Kayleigh. A Furfrou appeared in A Showcase Debut!, under the ownership of Alouette. It was briefly stylised into a Pharaoh Trim. It appeared again in Master Class is in Session!, where it was used in the Master Class Pokémon Showcase in Gloire City. A Matron Trim Furfrou appeared in Performing with Fiery Charm!, under the ownership of Delilah. A Kabuki Trim Furfrou appeared in A League of His Own!, under the ownership of Everett. Furfrou made its debut appearance in Kalos, Where Dreams and Adventures Begin!. Furfrou has made cameo appearances in Lumiose City Pursuit!, Clemont's Got a Secret!, A Battle by Any Other Name!, To Find a Fairy Flower!, Heroes - Friends and Faux Alike! and Origins of Mega Evolution!. Two Natural Form Furfrou appeared in A Jolting Switcheroo!. A Furfrou appeared in a fantasy in Breaking Titles at the Chateau!. 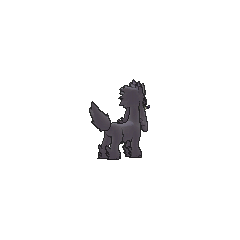 A Furfrou appeared as a silhouette in the picture in The Bonds of Evolution!. A Furfrou appeared in Diancie and the Cocoon of Destruction. A Pharaoh Trim Furfrou appeared in Summer of Discovery! on a video icon. Five Dandy, Star, Heart, Debutante and Pharaoh Trims Furfrou appeared in Day Three Blockbusters!. 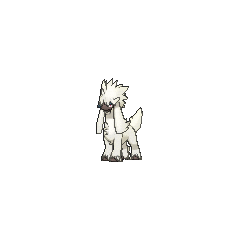 A Trainer's Furfrou appeared in Foggy Pokémon Orienteering!, and Battling Into the Hall of Fame!, including the second one with Kabuki Trim in picture. A La Reine Trim Furfrou appeared in Battling with Elegance and a Big Smile!. A Trainer's Furfrou appeared in Confronting the Darkness!. 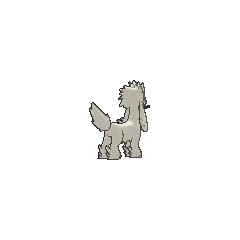 A Trainer's Natural Form Furfrou appeared in Performing with Fiery Charm!. A Trainer's Furfrou appeared in Adventures in Running Errands!. A Trainer's Furfrou appeared in A Performance Pop Quiz!. It reappeared in Performing a Pathway to the Future!, where it was used in the Master Class Pokémon Showcase in Gloire City. A Trainer's Natural Form Furfrou appeared in A League of His Own!. Three Trainers each owned a Furfrou, which appeared in The First Day of the Rest of Your Life!, with two being Natural Form and one being a Diamond Trim. A Trainer's Natural Form Furfrou appeared in Till We Compete Again!. A Trainer's Natural Form Furfrou appeared during a flashback in The Legend of X, Y, and Z!. XY008 Furfrou Ash's Pokédex Furfrou, the Poodle Pokémon. Furfrou were assigned the task of protecting kings who ruled the Kalos region in ancient times. Star, Heart and Diamond Trim Furfrou appeared in The Investigation. They were stolen by Essentia's Poké Ball Jack, after their Trainer battled her. Shauna owns a Furfrou, nicknamed Tri-P, in An X-cuse to Come Out and Play, she uses it in her studies to be a Furfrou stylist. In Kangaskhan...Kangascan't an illusion of a Furfrou appeared under the ownership of Celosia disguised as a Furfrou stylist. Shauna encountered it in an alleyway, which she mistakenly believes to be her missing one. She quickly realizes it actually belongs to the stylist who trims it into the Pharaoh, Debutante, Dandy and Matron Trims. It disappears after Shauna had been possessed by Celosia's Honedge. In What Does Charmander Do When It Dozes?, A Furfrou appeared being trimmed to have a Heart Trim by its Trainer at Friseur Furfrou. A wild Furfrou appeared in the Pokémon Village in Scizor Defends. A Trainer had her Furfrou trimmed into a Kabuki Trim by Shauna at Friseur Furfrou. A Diamond, Star, and Heart Trim Furfrou were also seen being styled there. Trimming its fluffy fur not only makes it more elegant but also increases the swiftness of its movements. Historically, in the Kalos region, these Pokémon were the designated guardians of the king. Moves marked with a superscript game abbreviation can only be bred onto Furfrou in that game. Occasionally erases two extra matching Pokémon elsewhere. 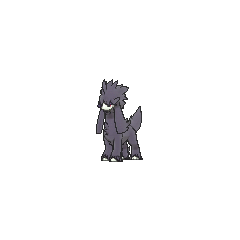 For other sprites and images, please see Furfrou images on the Bulbagarden Archives. Furfrou was unintentionally revealed in a Pokémon Direct on September 4, 2013. Until Pokémon Omega Ruby and Alpha Sapphire, Furfrou's various trims were not recognized as form differences by the Pokédex. The same was true for Arceus and Genesect. Unlike them, however, Furfrou's trims were given distinct menu sprites in X and Y.
Furfrou is the only Pokémon with a catch rate of 160. Furfrou is based on a poodle. Its untrimmed form seems to draw some inspiration from Afghan Hounds. Furfrou is a combination of fur and frou-frou (fancy, overly elaborate). Trimmien may be a combination of trimming and chien (French for dog). It could also be a play on the phrase très bien (French for excellent).